Just as most successful sportsmen can expect a call from a publisher asking them to pen an autobiography, so most hit movies and TV shows end up delivering a video slot spin off. While many of our big and small screen favourites have made the transition (Vikings, The Goonies etc) a few have sneaked through the net. 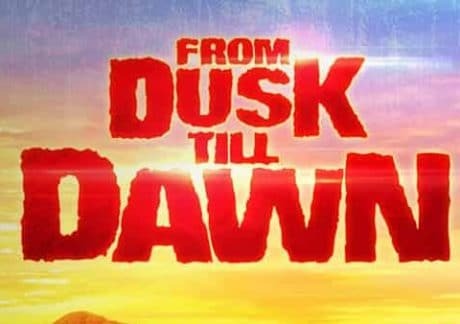 Here are 5 film and TV shows that would benefit from an online video slot version. Yes, we know that Microgaming produced a Game of Thrones video slot back in 2014 – it was rather basic graphically and a lot has happened in Westeros since then! They could produce another video slot featuring the White Walkers, Daenerys, John Snow and the mighty dragons – it’s about time we saw a re-boot as the source material could provide some fantastic games. Tommy Shelby and his Birmingham gangsters have become cult favourites with TV viewers around the globe. With season 5 set to hit TV screens later this year, it’s a surprise that no developer has jumped on board to create an online video slot version. With a cast of intriguing characters, unique design and a memorable soundtrack, it seems like a no-brainer. Quentin Tarantino’s crime masterpiece celebrates its 25th anniversary this year (yikes!) which makes it an ideal time to create an online video slot spin off. Few films of the 1990s (or any other decade for that matter) have as many quotable lines as Pulp Fiction and the backing track is ripe with possibilities. Quarter pounder with cheese anyone? We’ve seen an endless procession of Indiana Jones-style treasure hunters scrambling around the pyramids and South American jungle hunting for loot but never the great man himself – which seems a bit strange really. The theme is a perfect fit for an online video slot and the John Williams score would have toes tapping everywhere. With 4 Indiana Jones films, there could be a series of video slots. Another genre that has exploded in popularity in recent years is the zombie video slot. Which makes it even more of a mystery why there hasn’t been a game based on the hit US TV show The Walking Dead. With plenty of source material to choose from, The Walking Dead would make the transition online very easily. A few years ago, IGT released a live casino video slot based on everyone’s favourite crystal meth dealer. While the TV version of Breaking Bad was rightly rated a classic, the video slot left a lot to be desired. Unsurprisingly, the brick and mortar version didn’t make the crossover to the online world. Come on then IGT, get it together and create a classic based on Walter White and company. 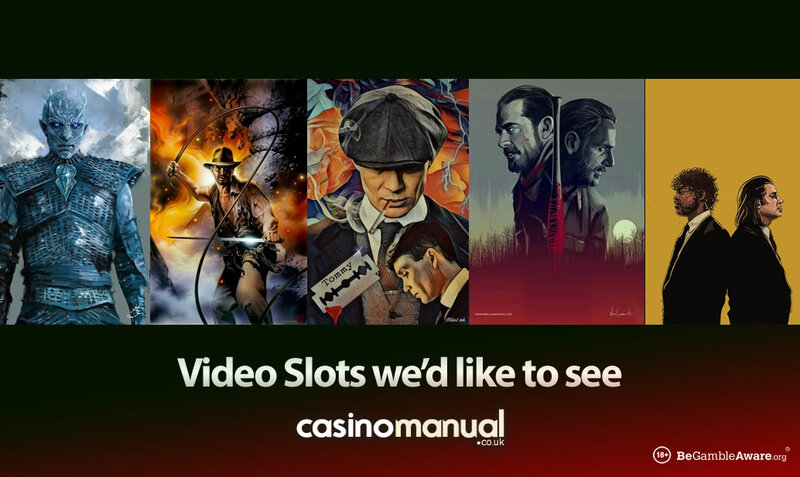 If you want to play video slots based on television shows and movies, there’s plenty to choose from – firstly, we have a dedicated Movie Slots section here at CasinoManual.co.uk where you can find Terminator Genisys, From Dusk Till Dawn, Grease, Jumanji, Gladiator Road to Rome, RoboCop, The Mask, Planet of the Apes, Justice League and many others. 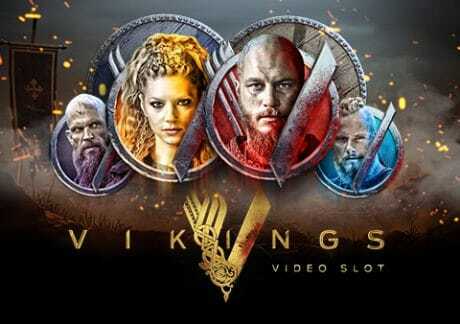 However, I would opt for NetEnt’s Vikings which is based on the iconic show – featuring Ragnar, Bjorn, Lagertha and Floki, it looks fantastic and has a good range of features. Vikings comes to life in the Free Spins feature which is played on a 7 reel, 78,125 ways to win game engine where you can benefit from mystery symbol transformations and more hotspots which can lead to scatter style payouts of up to 10,000 times your bet on every free spin.